This was the reader's favorite out of all the dresses I sent her. 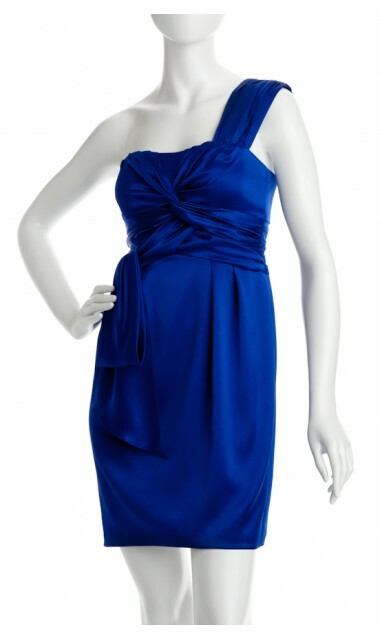 This is actually the dress that I purchased for the wedding I'm attending next summer. I saw this dress on How I Met Your Mother (worn by Robin in the Natural History Museum episode) and fell in love. It fits TTS. Classic, simple, and I love the color. I'm a fan of the one shoulder. Very cute. My other choice would be some strappy sandals in a metallic color.